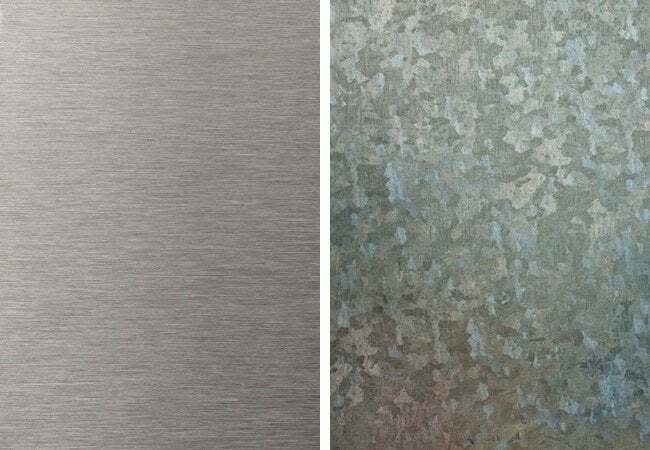 Though both are undeniably strong and durable, stainless and galvanized steel each have vulnerabilities that make one or the other a more suitable choice, depending on the application. Have you ever wondered which holds up better against the elements, stainless or galvanized steel? Well, that depends on several factors. Galvanized steel is coated with a thin layer of zinc that helps guard against corrosion. It’s commonly used in nails, screws, bolts, nuts and other kinds of fasteners. Galvanized steel usually stands up well to water exposure—as long as it’s not salt water. Stainless steel, on the other hand, is made by adding chromium to molten steel. Because of its strength and resistance to rust, stainless is the primary metal used in construction. Stainless doesn’t mind water, even if it’s salty, so it’s great for marine environments. You should stay away from stainless, though, if there’s any chance two pieces might come into contact with one another. Friction can rub through the coatings and cause the two parts to weld together. And don’t use stainless steel around pools or other places where it might be exposed to chlorine. Chlorine degrades the coating on the metal and causes rust.